The F.G in the name is the initials of one Fredy Guye, a Swiss born musician who experimented mainly with organ and gliss guitar, much like A Saucerful of Secrets era Pink Floyd, and I guess that that is a perfect resemblance in sound to the first of the two tracks of Journey into a Dream. The sounds are very Pink Floyd and you could almost imagine that it is Pink Floyd. As this album was first released in 1975, Pink Floyd were long past their days of true sound creation, and it seems that F.G Experimental Laboratory has carried on the trade when the creators moved into other territory. The whole concept is very mellow as it moves from a mellow, almost religious Pipe Organ, into a full on Pink Floyd organic gliss movement, which I find fantastic and very easy to listen to, as I love early Floyd experiments. 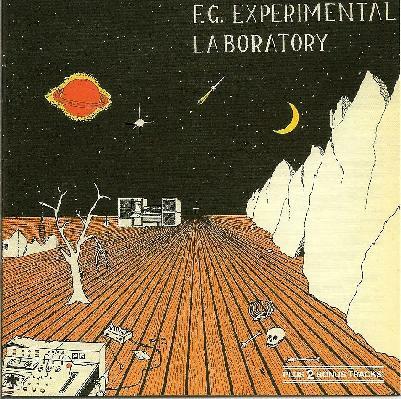 The second track, 2335, is of a similar structure, and it is equally as good as the first, and I would highly recommend this CD to those who have not heard the name F.G Experimental Laboratory before. As well as his first release Journey Into A Dream, there are also two bonus tracks on this CD in the form of his second release in 1976, this comprises of the 7” single, Synthetic Music for a Church, the tracks are Happiness and Church. Both are organ music with a difference, as the title would suggest, and as it is a 7” single, both tracks are under five minutes and there is no room for the Pink Floyd spacey parts, so the tracks stick to classical like church organ music for the duration of their time, which is no bad thing! I’ll leave you with a quote from the back of the CD cover: For being able to appreciate the record totally it is recommended to listen to it well rested.